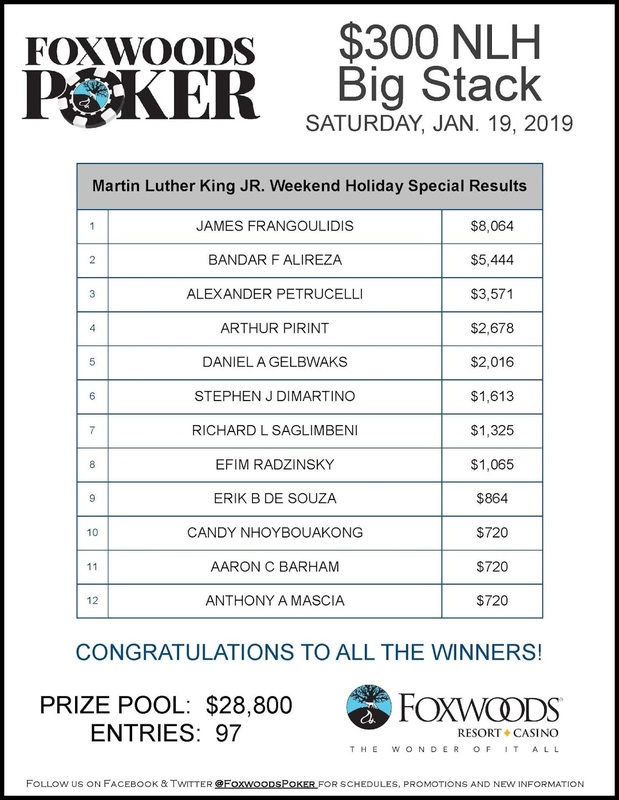 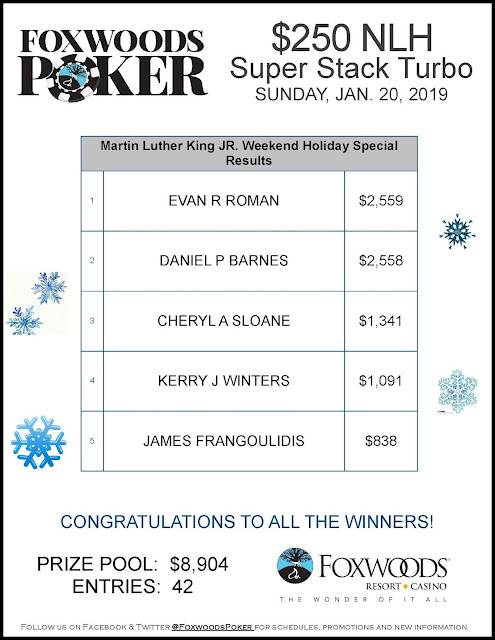 Foxwoods Poker: MLK Weekend Special Results • Over $1,900 raised for United Way of Southeastern CT Food Bank! MLK Weekend Special Results • Over $1,900 raised for United Way of Southeastern CT Food Bank! 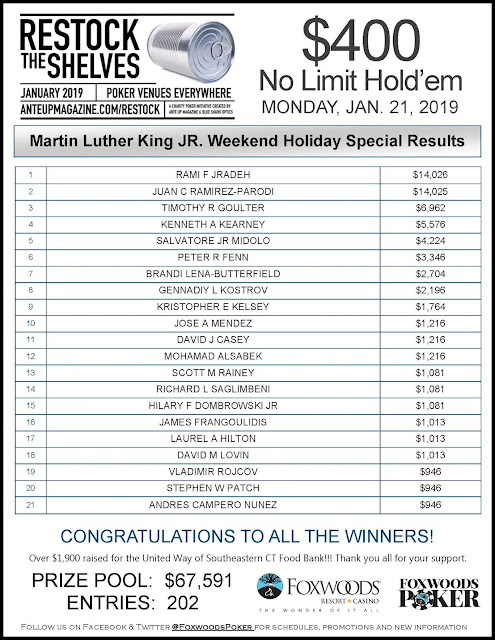 The weather wasn't cooperating, but for those who could make it we appreciate all your support for the Restock the Shelves food drive!